Today you are going to write another paragraph in Google Docs using the MLA format. 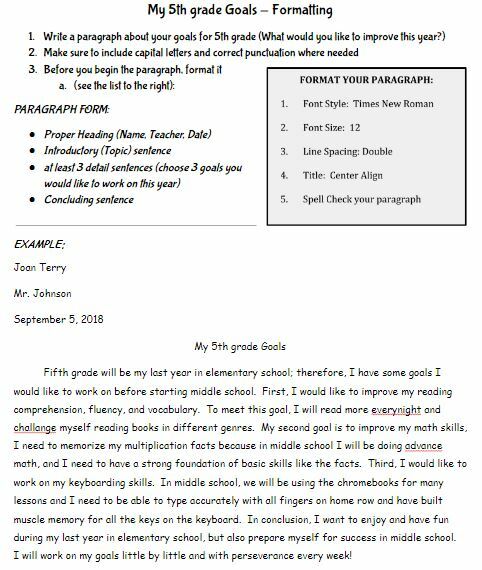 You will write about specific goals you have for yourself in 5th grade this year. What areas do you want to improve on before you reach middle school? 5th gr Goals Paragraph MLA from Patty Barbosa on Vimeo.